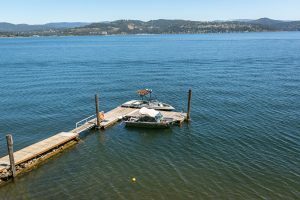 North Idaho is a great place to live for many reasons – but perhaps what stands out during the summer are the gorgeous lakes! Our area is home to some of the states largest, most pristine lakes such as Lake Pend O’reille and Priest Lake, Coeur d’Alene’s namesake – Lake Coeur d’Alene, and a host of additional lakes each with their own personalities and unique aspects. Some allow boats of all kinds, smaller ones may limit size or motors. The fishing is first-class throughout! Yet, I have yet to catch a fish this summer… but that’s another story! 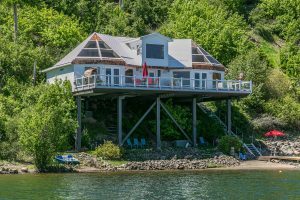 While everyone has their favorite lake activity – fishing, kayaking, water-skiing, wakeboarding, BBQ-ing, swimming, and photography to name just a few – one of my favorites is lake house browsing. I love looking at all of the lakeside residences as we putter by. Tiny crash-pad cabins all the way to awe-inspiring mega-mansions,-I love them all! 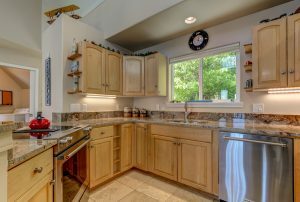 Lake real estate has been hot this summer as well. 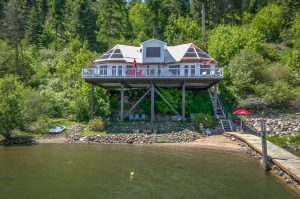 We’ve had some amazing lakeside listings with LPG that were snapped up rather quickly as the summer hits it’s peak. As it should be! 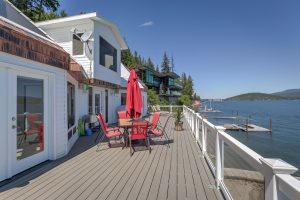 These are gems that deserve to be appreciated, and so I will try to spotlight some of my favorite lake front homes while they are still available. Take a moment with me and let’s daydream about this beauty on Steven’s Point (Lake Coeur d’Alene). 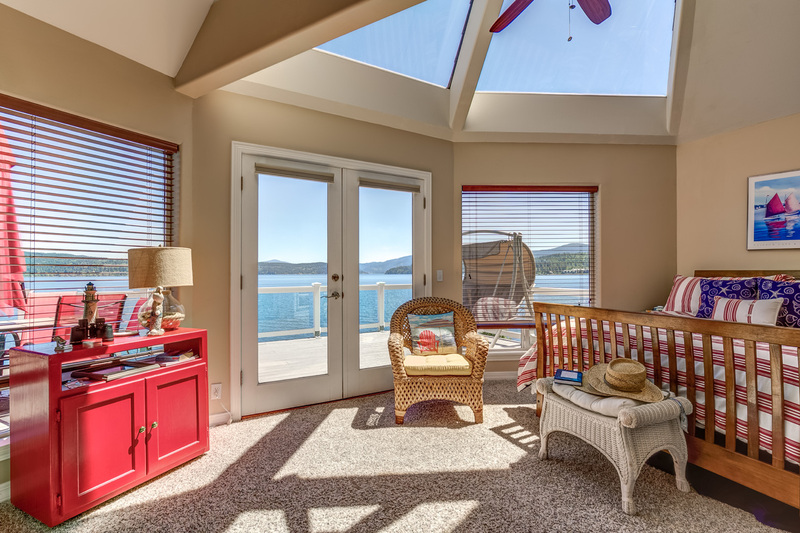 Wouldn’t this be a wonderful view to wake up to? While I don’t plan on doing much cooking while I’m enjoying the lake, this kitchen will make it a joy to prepare a lake lunch of…whatever my husband cooks for me.